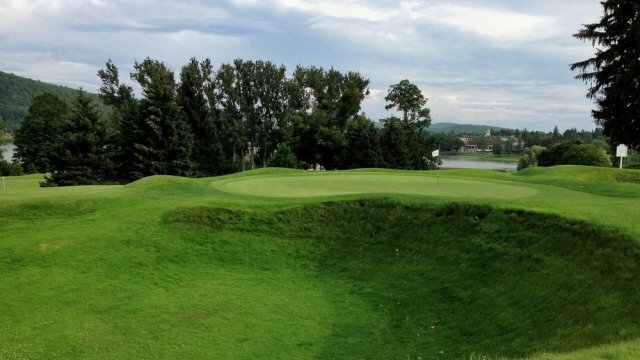 An all-encompassing wish for Canadian golf would be for everybody to play more, play better and have more fun. Of course, we want more people to join the game so that course owners and club manufacturers can increase their revenues and have healthy bottom lines that perpetuate the game for years to come. But that’s like wishing for world peace. It’s a nice sentiment but needs a lot more than wishes to come true. So, my focus is on bite-sized ideas that maybe will make a difference. Each week on the PGA Tour, I naturally cheer for all the Canadian players to do well and would be delighted if any of them won. But I probably cheer a little harder for David Hearn. He’s one of the good guys on Tour, always thoughtful with his replies to even the most idiotic media inquiries and very generous with his time for fans and his charity. He’s worked hard the past couple of years to implement some swing changes and overcome some injuries. Another reason I cheer extra hard for David is that he’s one of the bunters on Tour. For the current season he sits 184th in driving distance with an average of 263.8 yards per drive. That’s down considerably from his career average, which hovers around 280, but either way, each year he’s usually in the bottom 20% when it comes to driving distance – a huge disadvantage with modern Tour set-ups that are designed to reward the bomb-and-gouge game. Mike Weir was another Canadian that was short off the tee yet found a way to win the Masters and rise to #4 in the world. 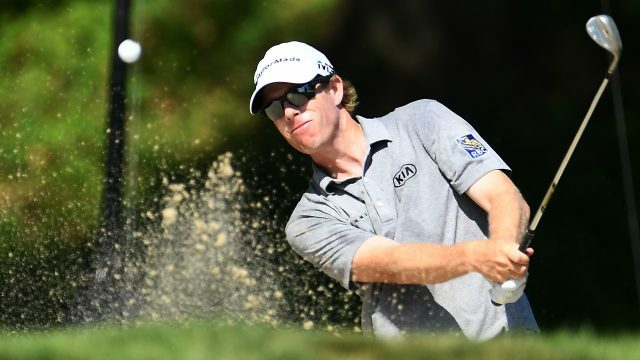 David has come close on a few occasions and will need to pick his spots if he hopes to get that first W. Classic courses where accuracy is rewarded suit him best, courses like Hamilton G&CC, where the 2019 RBC Canadian Open will be held. 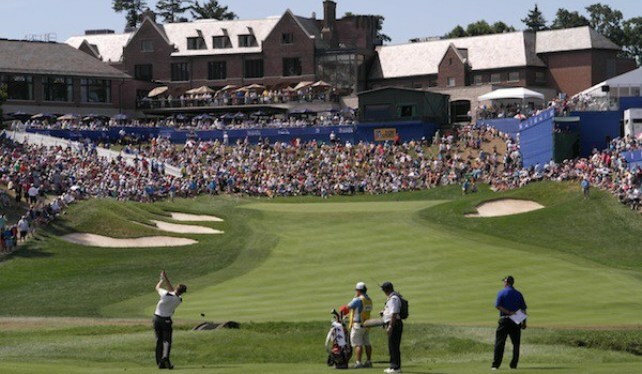 Next year will be a crucial test for the RBC Canadian Open, which will be held the week before the U.S. Open in early June. Organizers are hoping that the new date will attract more of the game’s top stars, who want a warm-up the week before a major. Another test for Golf Canada will be course conditioning. With great spring weather, everything should be ideal at Hamilton G&CC but, and please excuse my faulty memory, when have we had great spring weather recently? With the selection of a spring date, Golf Canada has all but guaranteed that only Southern Ontario and Southern BC will be in shape to hold our national championship. The rest of the country is barely out of hibernation by that time and in no condition to hold a PGA Tour event. Hamilton is one of the top courses in the country and a classic course that many players raved about in 2003, 2006 and 2012. Some recent course renovations have made it even better. Here’s hoping the weatherman is a golf fan. This is not always a popular sentiment with course owners that derive significant revenue from riding carts, but I want to encourage everyone that is physically able to get out and walk the golf course more often. It’s great for your health, and statistics show that it can even be better for your score. Whether you carry, push or pull, use an electric cart or a caddie, you’ll enjoy everything about the course more, be more engaged with your game and maybe work off a pound or two when you walk. Electric walking carts or trolleys are hugely popular in the UK where over 50% of all rounds include the use of an electric trolley. To get a riding cart over there, you need a doctor’s certificate. To course owners that fret about the loss in revenue, consider this: most courses in the UK (and a lot now in Canada too) rent trolleys the same way North American courses rent riding carts. They also generate revenue from selling them and storing them for members. There’s another reason for course owners to embrace walking – healthy golfers will play for many more years than unhealthy ones. No matter how you slice it, golf is still a game best played on foot. I’m sure you’ve heard it said before that competition makes your game better. And if you play better golf, you’ll want to play more often. And you’ll have more enjoyment. So, it constantly amazes me how often I join a group, and nobody is even keeping score these days, let alone having any kind of game. Some play to be sociable, others for exercise or fresh air and still others to work on some swing mechanics. I think golf is the only game or sport, except recreational skiing, where people play together for hours and at the end, nobody is declared the winner. Can you imagine tennis players just volleying for four hours for the fun of it? The game of golf originated as a match play contest between two players, where overall score wasn’t important, just beating the other guy. Match play is still the best way to play golf and if Ryder Cup excitement is any indication, also the best for golf fans. It not only hones your skills, it also sharpens your mind, as you always need to strategize on how to beat or defend against your opponent. So, on your next trip south, or your first game next spring, try to inject a little competition into your golf outing. Wager a buck or a beverage on the outcome. You can thank me later. Grass bunkers are less penal than sand traps. Golf is a game, and whether you perceive that to be competitive or recreational, the reason we play games is to derive enjoyment. There’s a significant movement in the golf industry now to make courses easier in order to attract new golfers and make it more enjoyable for existing ones. The thinking offers a different approach to the way courses were designed even a few years ago. Then, a course owner would tell his designer to make it as tough as possible, with a view to holding some important championship sometime in the future. The architect would dutifully add hazard on top of hazard until only scratch players could navigate the maze. Then he would add multiple tee decks for higher handicaps, as if lack of distance was the only reason they played to a 25 index. Modern course design is replacing a lot of sand bunkers with grass bunkers, widening fairways, cutting rough, eliminating fescue and shortening courses. Distance and accuracy are still rewarded but wayward tee shots are no longer a death sentence. Pace of play is better and there are fewer lost balls. I’ve played a few courses like this and have to say, they can be a lot more fun. And isn’t that what it’s all about? Who wins the career Grand Slam first?